Welcome to Donelson, Frost-Arnett, which has just moved from downtown to Elm Hill Pike and has added more than 60 new local employees. 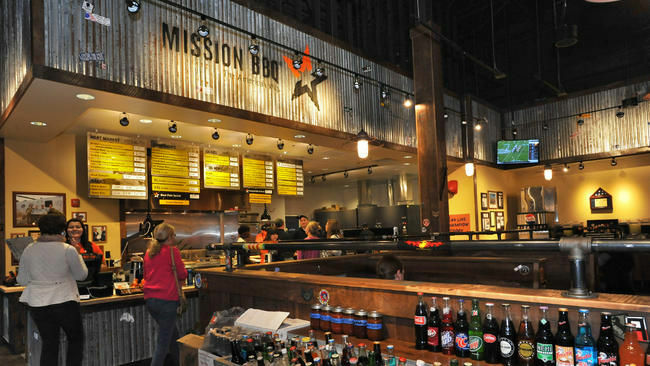 Read about their move to Donelson and expansion in the Nashville Business Journal article here. We welcome another new business to Donelson, It’s That Simple Dance & Fitness at 2720 Old Lebanon Pike in the Donelson Plaza. They offer personal training, fitness classes, dance classes, nutritional advice and much more. Lakeland Pointe is a new residential community in the works from Frank Batson Homes. Located at 410 Donelson Pike, these beautiful homes will be the first of their kind in Donelson and offer many beautiful amenities. Check them out here. Another new business coming to Donelson is Paper and Ink Arts. They recently purchased a vacant building on Graylynn Drive and are in the process of rehabbing it. Check out their website here and their Facebook page here to keep up with their progress. They also have a local market survey for the community to provide feedback here. I have been working with Metro Planning and management at Opry Mills to amend the existing zoning code to allow Smith Creek Moonshine Distillery to operate there. This would be a unique amenity at Opry Mills and I welcome the additional entertainment draw being offered. Read about it in The Tennessean’s article here. I had a great meeting with a few Google Fiber execs to learn more about the status of the installation and much anticipated roll out of their service. They’ve completed the design of the network and as we’ve seen, have been busy building it. This is a big undertaking! Once complete, the network will include more than 3,200 miles of fiber, enough to stretch from here to Canada and back. They are working hard to make disruption in the neighborhoods to a minimum. They have a 24-7 Construction Inquiry Line at 877-454-6959 if you have any issues. With the underground infrastructure going well, there are a few logistical issues to work through as far as the above ground wiring, but they are making good progress. Sign up here to keep up to date with their progress and as soon as service is available, that’s how to get notified. A couple neighborhoods in Donelson have taken advantage of Metro Public Works Traffic Calming Program. 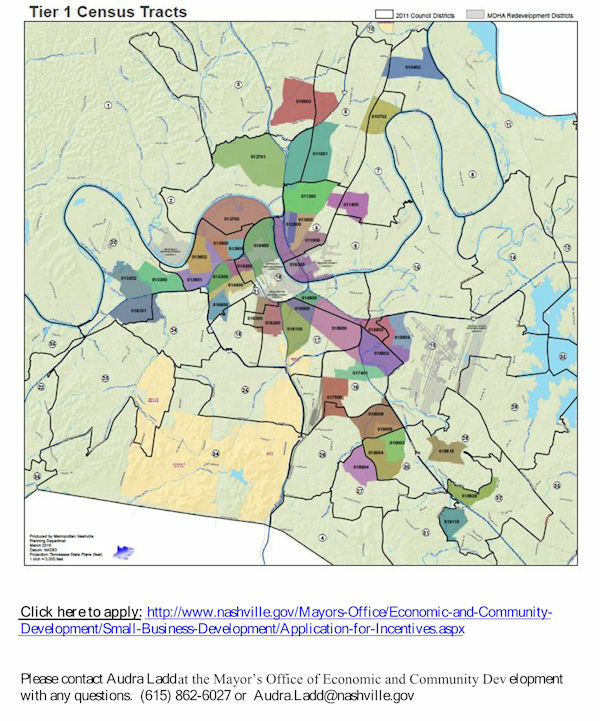 My neighborhood, Donelson Hills, has been in discussions with them for many months. We finally will receive signage at our three entranceways and a few other elements to hopefully encourage those driving through the neighborhood to slow down. I’ve been hearing from many neighbors across Donelson in the months since election. 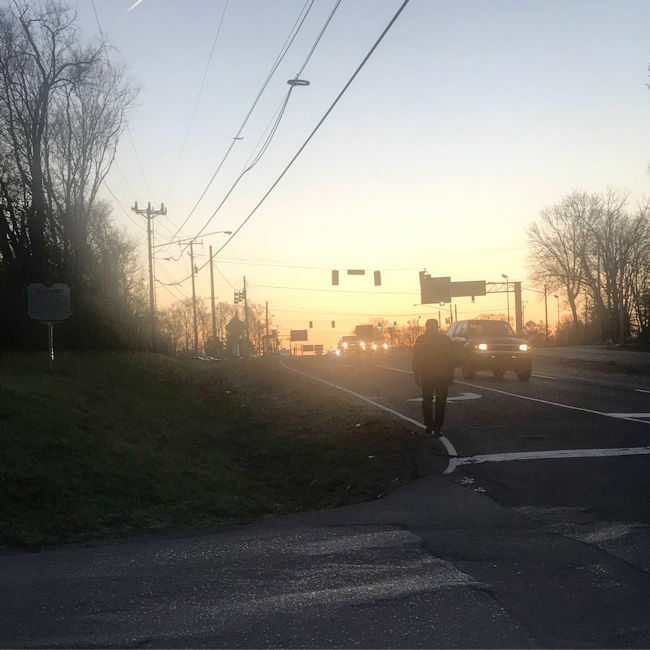 Recently, I put a post out on Hip Donelson asking for input about traffic issues in neighborhoods. With about 200 responses, I compiled the information with the emails I’ve received. The major responses came from Lincoya Hills, Maplecrest and Woodberry Park and a few other specific streets where issues are consistent. I will be making an effort to work with the neighborhood leadership and the Traffic Calming program to see if we can help make our neighborhood streets safer. Over the past nine months since taking office, I’ve been focused on setting a strategy to achieving the goals of my time in office – strengthening neighborhoods, improving community support of our schools, supporting non-profits and continued positive economic development. I’m proud to report that a substantial element in the Mayor’s budget proposal helps us address all of those areas – a new library for Donelson and is something I’ve been working on and advocating for, so I’m very happy to see this. 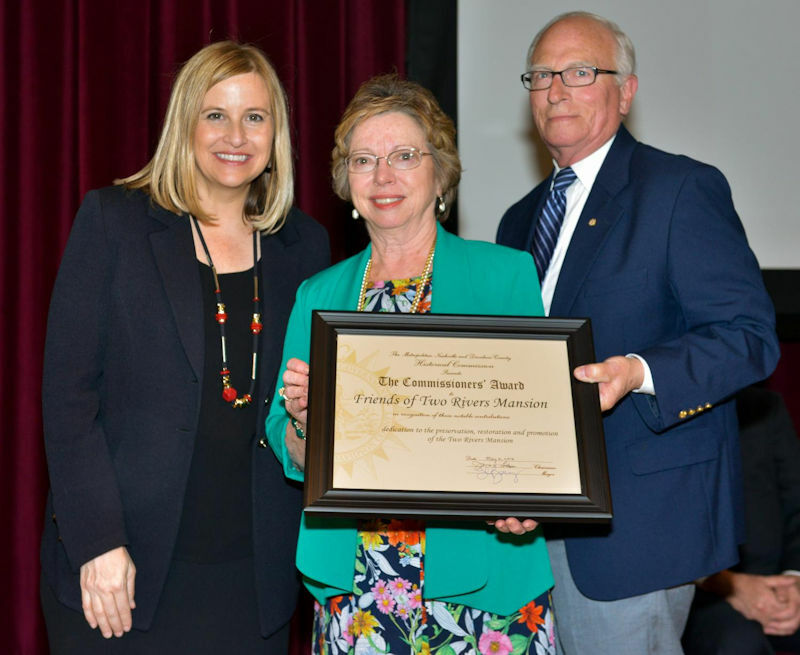 Mayor Barry has proposed $6 million for the replacement of our Donelson branch, which was built in 1966 and is quite inefficient from an infrastructure perspective as well as size and layout to meet our needs. Our current library is about 6,000 square feet. A proposed new library could be about 20,000 square feet, so the current site is not very feasible for redevelopment. In addition, as we all know, it can be a difficult location to enter and exit. My vision is focused on renewal and investment around the Music City Star Donelson Station to create a walkable, mixed-use, transit-oriented town center for our community that offers more restaurants and retail options as well as green space. A new library would serve as a perfect community center in the heart of Donelson that would help anchor this renewal. I continue to work with the Mayor’s Office, our Metro Library Director Kent Oliver and Donelson Library Branch Manager Chris Morin on identifying a suitable location that can maximize this investment to help bring greater accessibility, use and expanded programming to better serve the current and future needs of our community. Should the budget pass with the library funding included (I’m confident it will), there will be community input in this process and I’ll need your help to get the word out when there is a meeting scheduled. It will probably happen in late Fall, so stay tuned. As always, I welcome your input any time leading up to a community meeting. 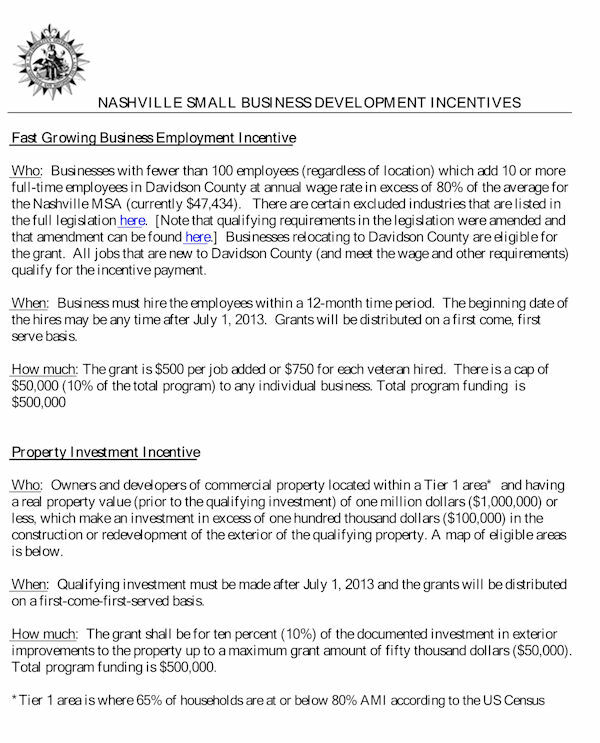 Metro has expanded the Blighted Properties Small Business Incentive Program. There are two programs – Fast Growing Business Employment Incentive and Property Investment Incentive. 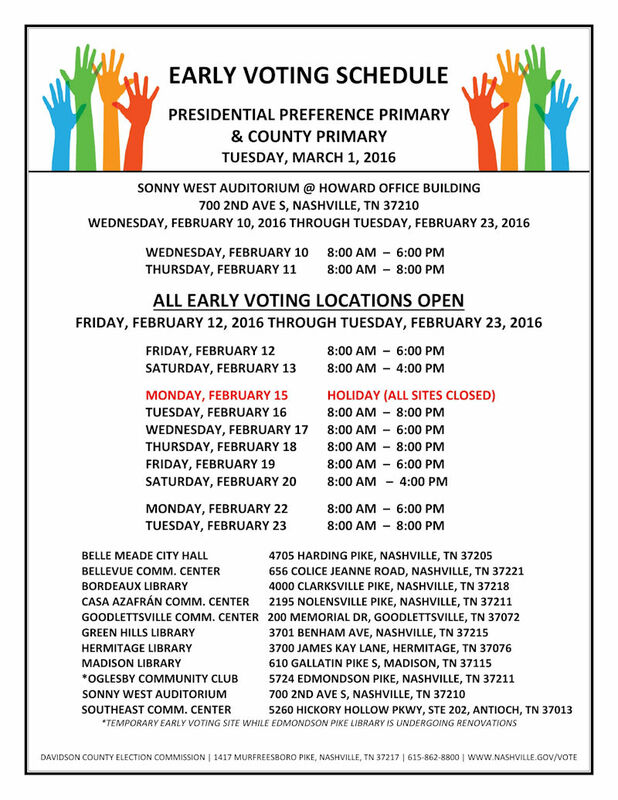 These apply to a small corner portion of District 15 south of I-40 along Murfreesboro Pike. If you are a business owner in this area or know someone who is, please contact me. See below for more information and eligibility. The link to apply is here. Nashville will be the home of a new Madame Tussaud’s Wax Museum opening in 2017 at Opry Mills. Read more about it in this article from Music Row Magazine. 1620 and 1634 Lebanon Pike – We’re changing their zoning from CL to CS-A, which allows the owner a bit more flexibility in use of the property. They don’t intend to redevelop. It will likely be an Enterprise Truck Rental business once the zoning approval is complete. No neighborhoods are impacted by this. 720, 724 and 728 Ermac Drive. This was already zoned to ORI some hears ago to permit a Candlewood Suites Hotel. This is request to revise the preliminary plan for the Planned Unit Development. It is scheduled to be heard at the Planning Commission on April 28th. This project has my support and is a good development adding to the hotel options in the Century City area. 2535 Perimeter Place. This already passed Planning Commission and is headed to Council. This is also a good development in the Century City area adding to the hotel options in the area. McGavock Elementary will celebrate their 60th Anniversary on Sunday, April 24th from 2-4pm. I’m honored to read a proclamation in honor of the event. All of the community is invited to help them celebrate this milestone birthday. Vince Gill and Keith Urban’s annual All for the Hall benefit for the Country Music Hall of Fame and Museum on Tuesday, April 12th featured McGavock High School students, who wrote with hit songwriters Georgia Middleman and Gary Burr. They performed their song “Limited Time Offer”. Read more about it and watch a video of them writing the song in an article here from The Tennessean. The inaugural Donnie Whitworth Memorial C.A.N.S. (Challenged Adults Needing Support) Walk-Push-Run event will be September 24th at Two Rivers Park. A group project of a team in Leadership Donelson-Hermitage’s Class of 2016 is organizing a kick-off event on Wednesday, April 27th from 6-8pm at The Larry Keaton Theater with light hors d’oeuvres and wine. It’s a free event, so come out and hear what this walk is all about, share your favorite memories of Donnie and get excited about raising money that will benefit The Shelby Foundation, a Donelson-based non-profit organization dedicated to making the lives of adults with intellectual disabilities better. The Hip Donelson Farmer’s Market kicks off the sixth season on Friday, May 6th! It promises to be another great season of healthy food, wonderful vendors, music and much more. It runs every Friday from May – October 4-7pm. 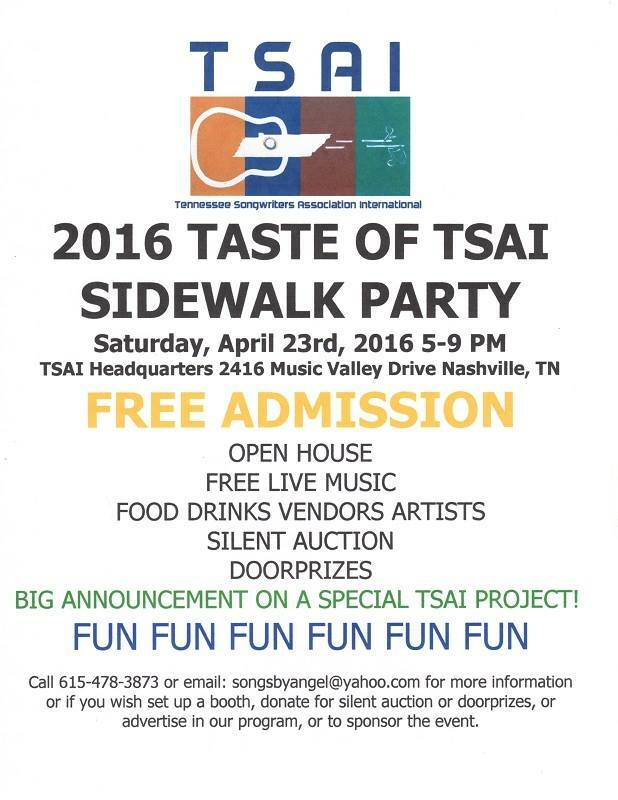 The Tennessee Songwriters Association International will host their 2016 Taste of TSAI Sidewalk Party on Saturday, April 23rd from 5-9pm. 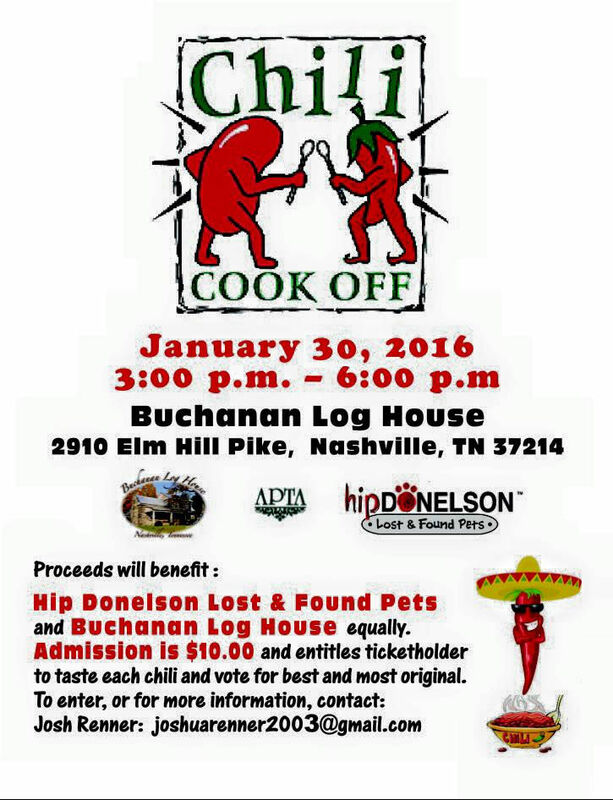 Live music, food, vendors, door prizes and more. See poster below for details. 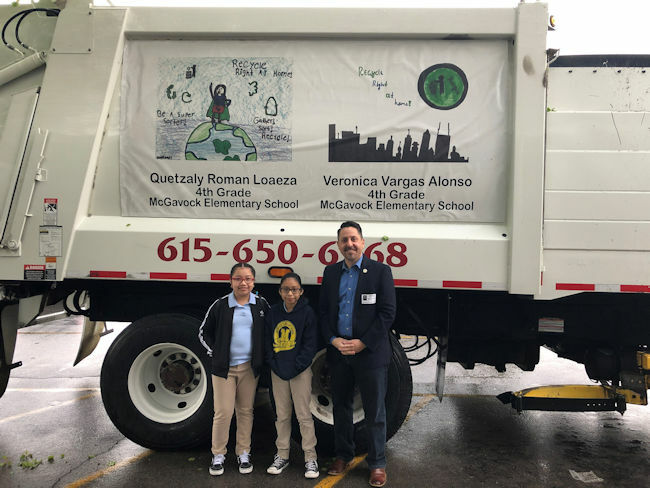 Congratulations to The Donelson Gateway Project for securing assistance via a Metro Beautification grant for 45 trees that were planted on DGP sites, as well as other areas around Donelson. Visit DGP’s website here for a few pictures. There will also be a clean-up of all sites on Saturday, April 16th at 9am. Head to one of the main sites and pitch in to help keep Donelson looking great! There are three sidewalk projects coming to the heart of Donelson. 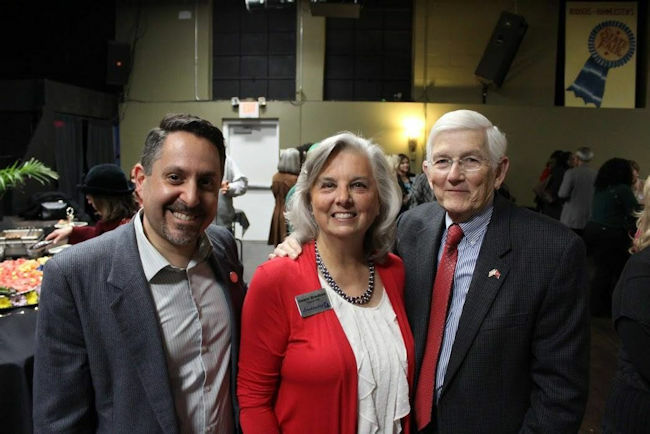 A community meeting was held last Fall about the project to connect Stanford Montessori to our Donelson Library. 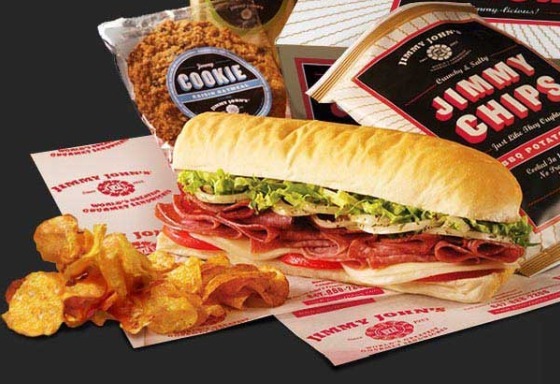 Two other projects that are coming will be on Lebanon Pike connecting Bluefields Avenue to Graylynn Drive and one on JB Estille Drive connecting Lebanon Pike and Old Lebanon Pike. Come learn more about these projects at a Community Meeting on Tuesday, April 26th at 6:30pm at Donelson Church of Christ in the chapel. Thank you DCoC for hosting us! 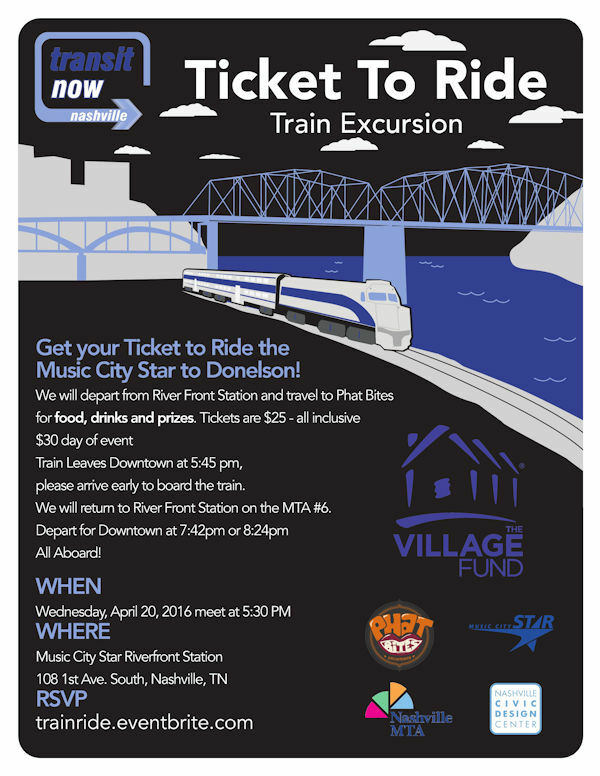 The Nashville Civic Design Center and Transit Now Nashville are hosting a Ticket To Ride event on the Music City Star on Wednesday, April 20th, riding from downtown to Donelson on the 5:45pm train. We will then walk up to Phat Bites for an event to promote transit and Downtown Donelson’s future. 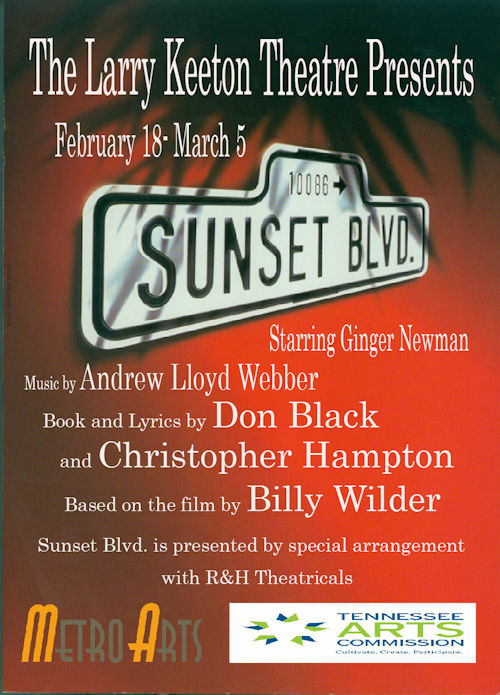 See flyer below for details. The Friends of Two Rivers Mansion and the Metro Historic Commission selected Encore Interpretive Design to manage the master planning process for the Two Rivers Mansion, 1802 House and 14-acre property. This is an exciting time for this historic crown jewel of Donelson. The community is invited to a kick-off of the process on Wednesday, February 24th at 5:30pm at Two Rivers Mansion. Come learn how you can be part of this process and what deliverables to expect. The American Legion Post 88 has been working hard on a plan to beautify and enhance the War Memorial triangle site that has been there since 1970. Thanks to an architect team at Lose & Associates for helping put the vision to paper. We’ve now presented it to TDOT and are awaiting their assessment and approval, which I hope to receive so plantings could be done this Spring. The beautification and facelift of McGavock High School continues with new lettering on the building. 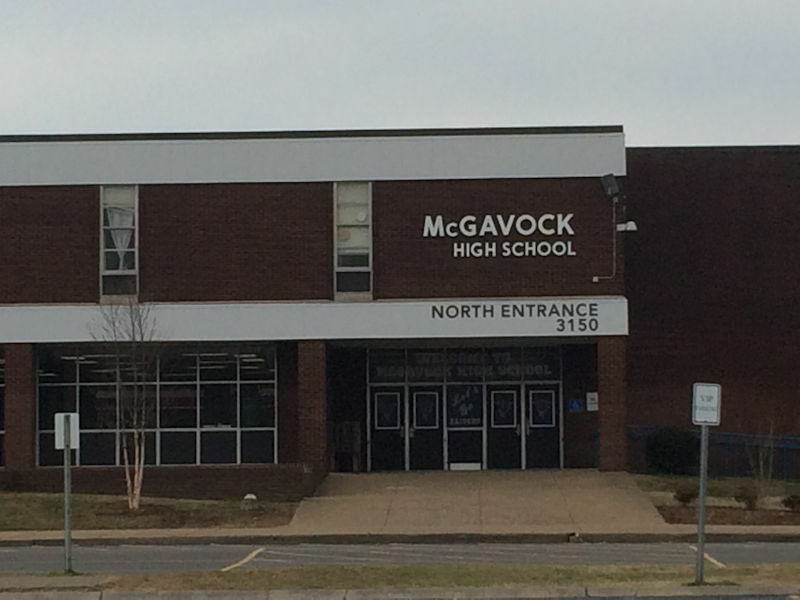 The original McGavock High School lettering was taken down, sandblasted and repainted white. It was rehung above the North Entrance to help guide visitors towards that entrance along with new entranceway signage as well. 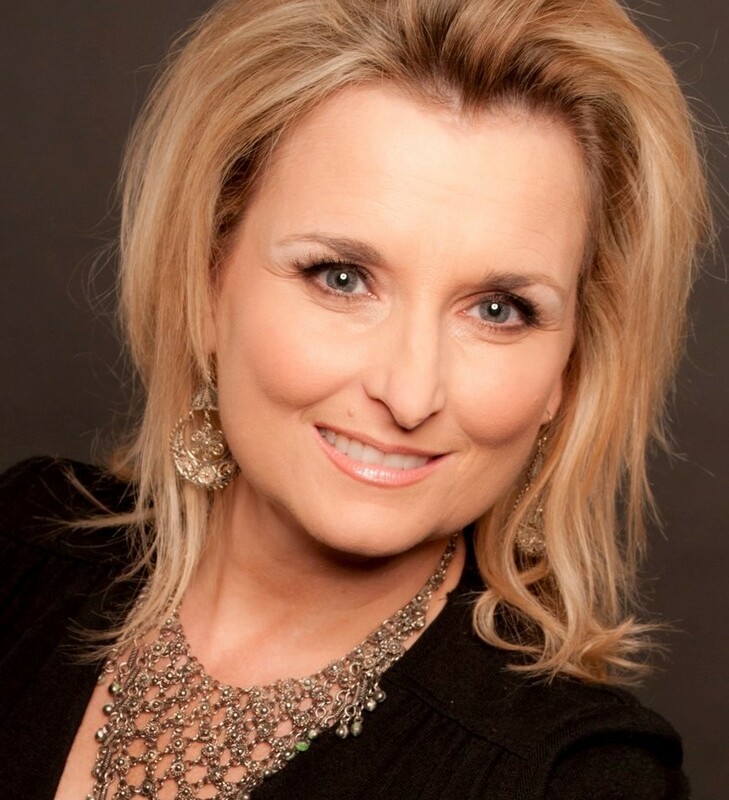 Congratulations to Bluefield’s neighbor Lara Tucker, who was appointed by Mayor Barry to the Housing Trust Fund Commission. Congrats as well to Natalie Corwin for being named one of the Nashville Business Journal’s 40 Under 40 for 2016. If searching for good seasonal or part-time work, Metro Parks is having a job fair on Saturday, February 20th at McCabe Golf Clubhouse. See flyer below for more information. We have four new hotels in the works for District 15! Three of them all are zoned for it already – Music Valley Drive, Elm Hill / McGavock Pike and Ermac Drive in Century City. Another on Perimeter Place in Century City will have to go from IWD (Industrial) to a SP (Specific Plan). It’s currently an undeveloped piece of property near Piedmont Natural Gas’s headquarters. All four projects are positive developments and further highlight how important our district is as a “Hospitality Gateway” for Nashville. 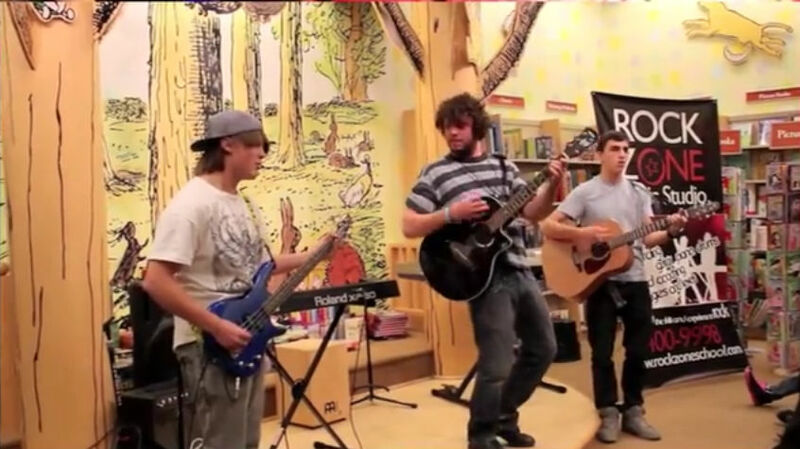 Donelson has a new business that’s a School of Music – Rock Zone! Located at 2541 Park Drive, they offer an after-school program, private lessons and more. Check out their website here for more details and contact info.